Don’t Be 1 in 50,000, Oral Cancer Kills! Know Your Risk. Edward Loev, DMD Blog Don’t Be 1 in 50,000, Oral Cancer Kills! Know Your Risk. 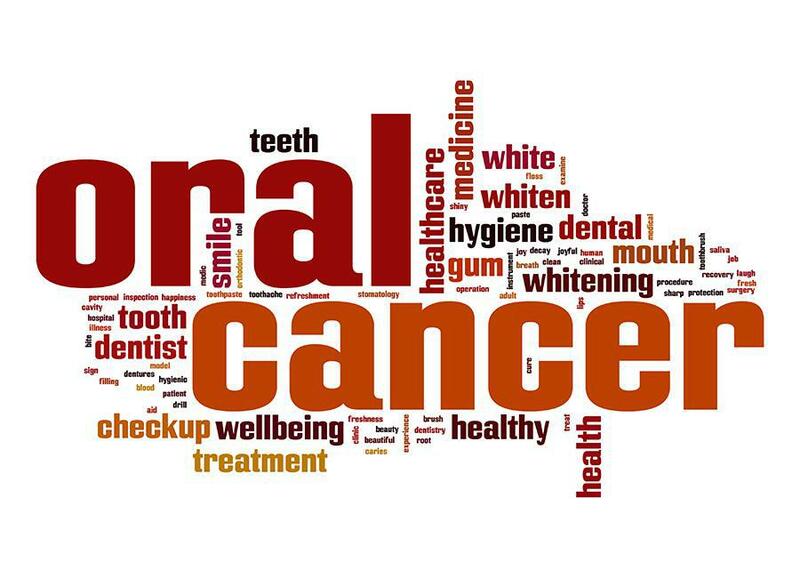 Did you know that an estimated 50,000 people are diagnosed with oral cancer in the US each year? Of those diagnosed, an estimated 10,030 people will die of these cancers annually in the US according to The American Cancer Society’s recently released statistics for 2018. The good news is that mortality rates have been steadily decreasing over the last 30 years due to increased awareness of the disease and early diagnosis and treatment. San Francisco Cosmetic Dentist Dr. Edward L. Loev, DMD, and his team are committed to helping continue to reduce this mortality rate through frequent oral examinations and monitoring. Oral cancers death rate is especially high not because it is hard to treat or diagnose but often because it is diagnosed very late in its development. Early diagnosis is key to a favorable outcome. What can you do? You can start by identifying the risk factors. Tobacco Use: Tobacco products of all kinds (cigarettes, pipes, cigars, snuff, chew and smokeless) top the list of contributing factors for Oral Cancer. Alcohol: Alcohol use, especially in conjunction with the use of tobacco, can increase the risk of oral cancer. Exposure to HPV16 Human Papillomavirus: Younger generations are now getting vaccinated for this very common disease. Currently, it is estimated that over 3 million cases of HPV are diagnosed in the US per year. Infectious Disease: Individuals whose immune systems are compromised by disease are more prone to oral cancer. Physical Trauma: If your mouth and surrounding tissue have suffered some type of physical trauma you are more likely to contract oral cancer. Poor Oral Hygiene: Failure to brush and floss can hurt more than your teeth and smile, it can make you more susceptible to oral cancer. Poor Nutrition: You are what you eat! Poor diet impacts our bodies in many ways and can make us more susceptible to not just oral cancer but also to diabetes, heart disease, and many other systemic illnesses. Being a Male: One cannot control one's gender but men are considered twice as likely to contract oral cancer as women. Aging: Yes, unfortunately, one more thing that can be attributed to aging. The average age of oral cancer diagnosis in the US is 62. This doesn’t mean that younger individuals are off the hook. We should always be diligent and aware of this disease as it can impact any age group anytime. So, what can you do? The first step in early diagnosis and treatment of oral cancer is simply being aware that it exists. Now that you know, perform frequent oral self-exams (every month is ideal). Invest in an inexpensive flashlight and mirror (dollar stores often carry basic dental kits with mirrors) a make-up mirror with light can also be a helpful tool. Look and feel around inside your mouth. Any sore spots that have been there for a while and have failed to heal. Any abnormal bumps or thickening of the oral tissue. Pull out your cheeks and check them out too. Now it’s time for your tongue. Stick it out, flip it over and inspect every part of it and underneath it. And lumps or raised areas that just don’t feel right. Do I chronically have a sore throat or sound hoarse? Do I have a tough time chewing or swallowing? If everything looks and feels great that’s fantastic! Be persistent and don’t skip your monthly self-test. If something feels odd or you have some of the symptoms we mentioned don’t panic, just reach out to your dentist. Dentist and hygienist are in the best position to identify possible pre-cancers or cancerous lesions and they can guide you to get help and treatment. Regular dental cleanings and examinations are key factors in early diagnosis. Don’t be a statistic stay on top of your health. Cosmetic Dentist Dr. Edward L. Loev, DMD has been practicing dentistry in his Downtown San Francisco dental office for over 4 decades. He and his team have committed themselves to patient care and treatment. Call them today at 415-392-2072 to set-up a complimentary cosmetic consultation, evaluation or even just a new patient visit if you are in need/want of a new dentist. Aren't Dental Sealants Just for Kids? Dental sealants aren't just for kids. No cavities? Sealants can keep it that way by preventing 80% of decay painlessly, quickly and cost-effectively. Find out more about how dental sealants might be a great addition to your oral health care plan. So How Is 2019 Going So Far? How are your New Year's resolutions coming? We are a month into 2019, do your resolutions match the rest of ours. Ouch, Why Do My Teeth Hurt When I’m In Cold Weather or Wind? Do you wake up with a headache or sore jaw? Are your teeth sensitive to cold? 70% of the population does. Find out why and how to get relief. End of Year is Near; Do you Know What this Signals for your Insurance Benefits? The end of the year is a great time to take advantage of insurance and flexible spending plan benefits. Many benefits expire, and disappear in the New Year. Dental benefits are especially impacted by the ticking clock. Use them or lose them! Most of us brush our teeth a couple of times per day, but are we doing it the right way, with the right tools? San Francisco Dentist Dr. Edward L Loev, DMD offers some tips. What's That Lump on the Roof of my Mouth? Should I be concerned?